I went shopping with my Mum yesterday, and we made out monthly pilgrimage to "The Big Primark" (as she calls it!) in Teleford. 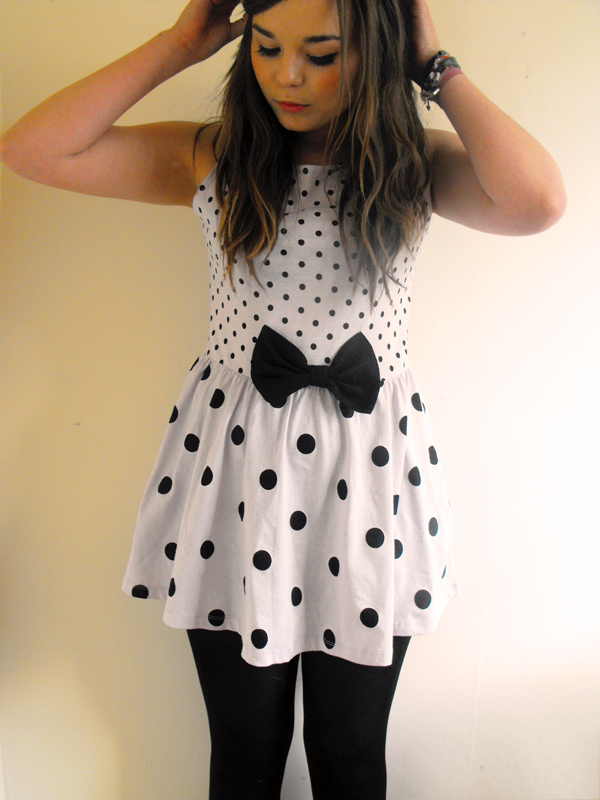 Who knows what drew me to this lilac polka dot bow dress from Primark, Its something I wouldn't have looked twice at normally. The bow, the colour and the print is something I'd never normally buy. There was just something about it that just caught my eye and I cannot put my finger as to what it is. It was one of those rare items you occasionally find that fits your body perfectly. The fit is just right for my body shape. If they had this dress in every color or pattern I'd totally buy them all in a instant. For £6 you cant really go wrong can you? I feel like this dress is something that Selina @ Flying Saucer would wear! Her style is totally cute! Sorry my arms look abnormally large, it makes me want to go to the gym, like now! So, What you guys though about it. So what do you think? Should it stay or should it go? How are you? I'm visiting your blog and he's so lovely! I like the pictures and your style! Please check my too and maybe we can follow eachother! 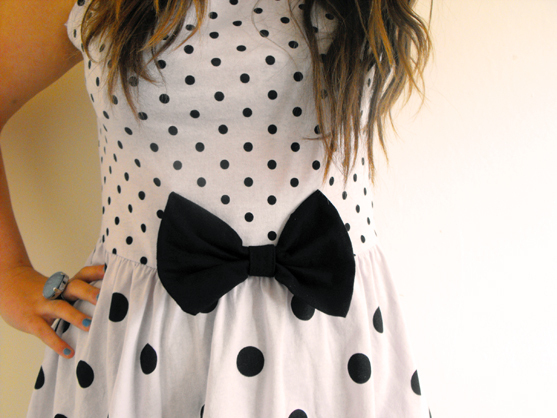 Oh my that the cutest dress. It looks gorgeous and really suits you. i think i'll have to get myself down to primark. Adorable - its a keeper! Oh gosh, I love this outfit! I keep seeing such lovely items from Primark..I wish there was one in the States! This is so freakin cute! And you say it fits perfectly! AND it's such a steal! keep;] the dress is fit on you! so cute! KEEP. 100%. It looks amazing on you. 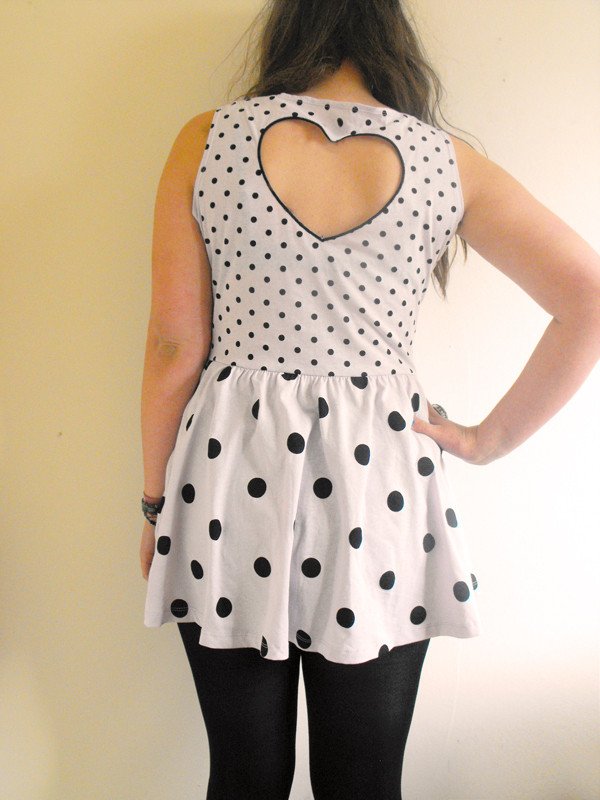 I have it in grey but WOAH cannot wear it as a dress. hehe. I have to wear leggings or trousers. I am 5"9 so hence why. lol.